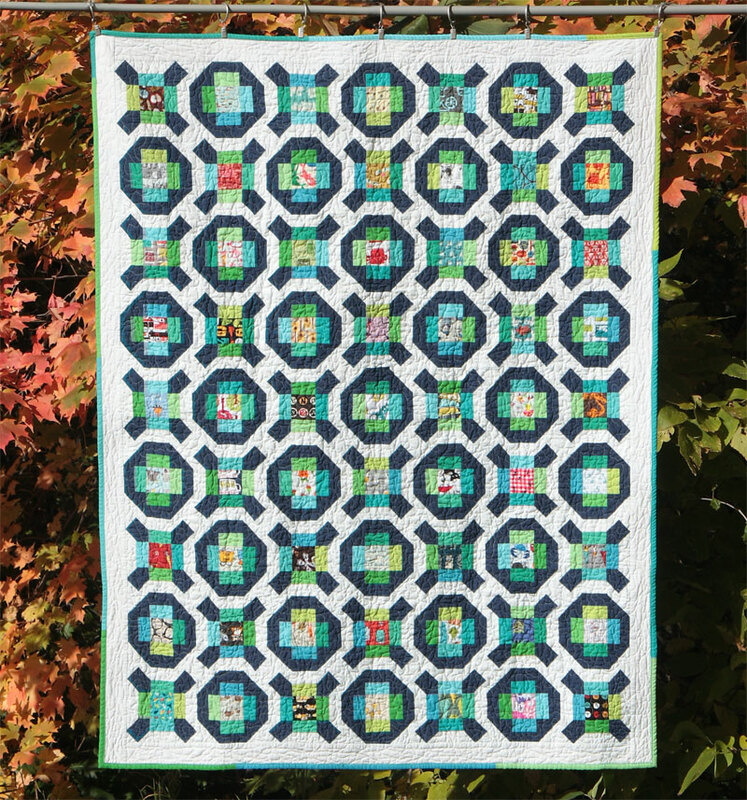 I designed this quilt to be a fun way to incorporate “I spy” charm squares. These are squares that are fussy cut to show an interesting thing, such as a butterfly or letters. 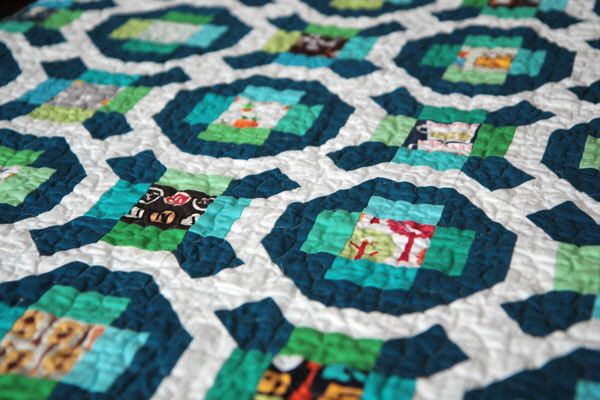 I spy quilts are very common and popular for baby and children’s quilts. This quilt was in McCall’s quilts magazine.